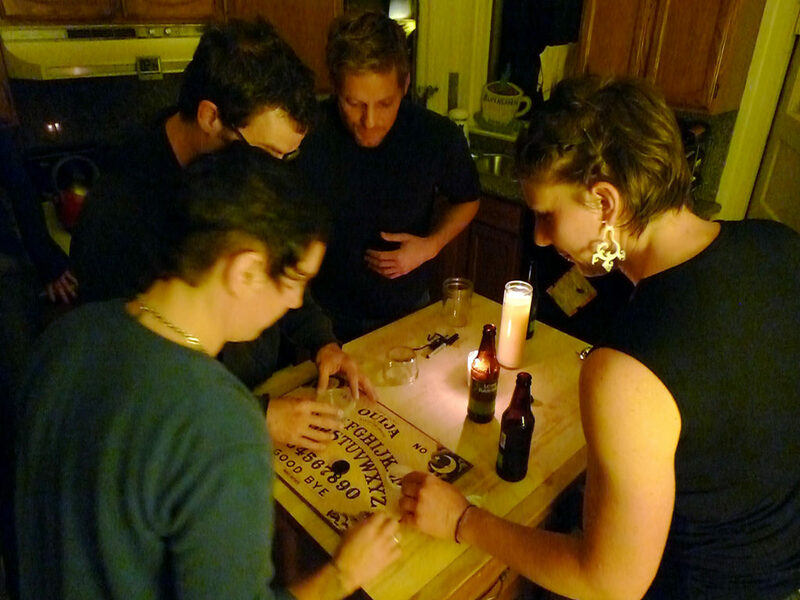 Photo by Ann Larie Valentine. Available Via Flickr (CC BY-SA 2.0). 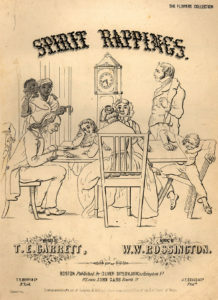 An 1853 song titled ‘Spirit Rappings’ sought to capitalize on the growing popularity of Spiritualism in the 19th century. 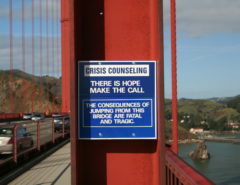 Via Wikimedia Commons. 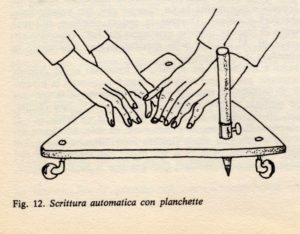 “Automatic Writing with Planchette.” By Unknown – Claudio Marchiaro e Frank Bonethe, “Lo spiritismo la teoria e le tecniche”, Milano 1978, pag. 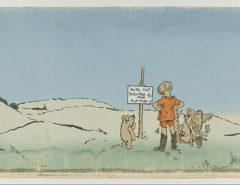 70, Public Domain, via Wikimedia Commons. 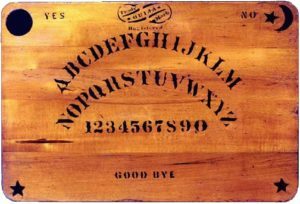 Original Ouija board created in 1894. Public Domain, via Wikimedia Commons.